After a brisk walk to the boarding gate, 16 members of Bristol University Officer Training Corps and 4 external instructors were en route to Sharm El Sheikh, with complimentary extra legroom to boot. Upon arrival in Egypt we were greeted with warmth from both the local climate and the lively tourist guide who would be accompanying us to our liveaboard boat, M/Y Cyclone, on the Red Sea from which we would eat, sleep and dive. With a restful first night’s sleep behind us, we woke to an interesting combination of pancakes, sausage stew, dried meat, omelettes and various cheeses for breakfast. Some took to the challenges of dining aboard a swaying boat better than others. We received a central brief from the two dive guides, Ahmed and Manon, about the local diving environment and about our Northern Wrecks and Reefs itinerary. Unfortunately, this did little to quell OCdt Gennery’s shark-related concerns. The first morning consisted of Collective First Aid Training (CFAT) for those who were BSAC (British Sub Aqua Club) Sports Diver qualified and above, while the trainee divers received their final lecture. A Practical Rescue Management (PRM) scenario was also conducted so that everyone on the boat was aware of the procedure in the event of an emergency. 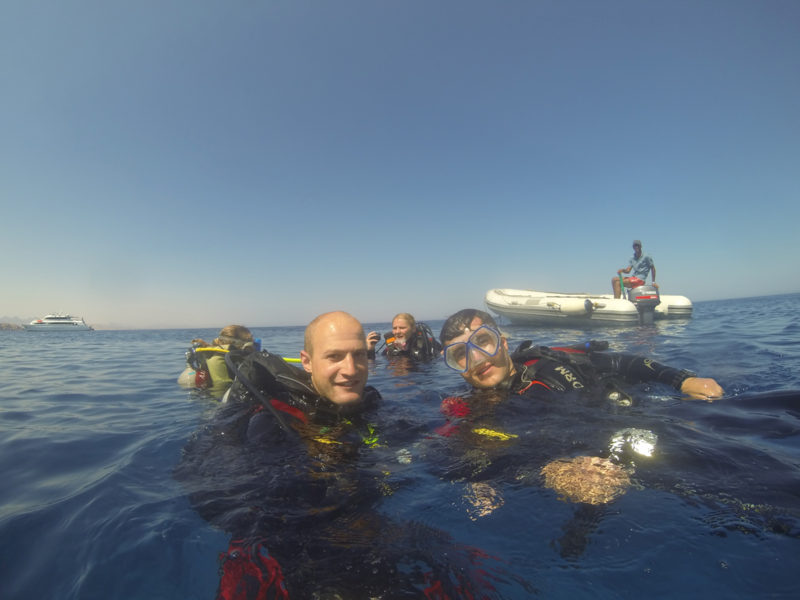 In the afternoon, a shake out dive was conducted in South Laguna, Tiran, giving the students a gentle introduction to the logistics behind diving from a liveaboard boat as well as offering the opportunity to take our first dip in to the refreshingly warm Egyptian water. 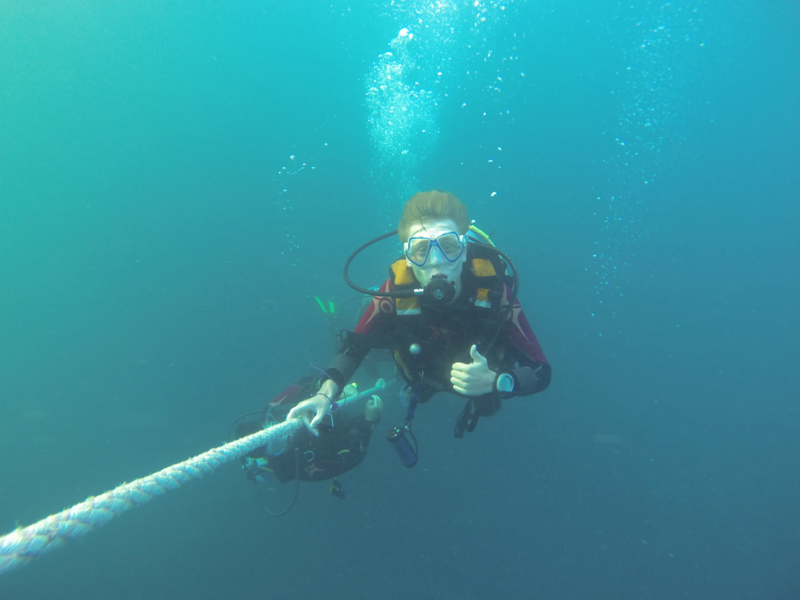 The trainees had previously completed the majority of their BSAC Ocean Diver training in the UK and therefore the next dive was spent completing the final qualifying dive, Controlled Buoyant Lifts, which all successfully completed. After an enjoyable opening day of diving, the evening descended into group head massages that suitably accompanied the tranquillity of the Red Sea. This soon became a trend of the expedition. Over the next few days, BSAC Sports Diver training was completed with students learning and demonstrating skills such as navigation, rescue skills, Delayed Surface Marker Buoy deployment and dive leading. 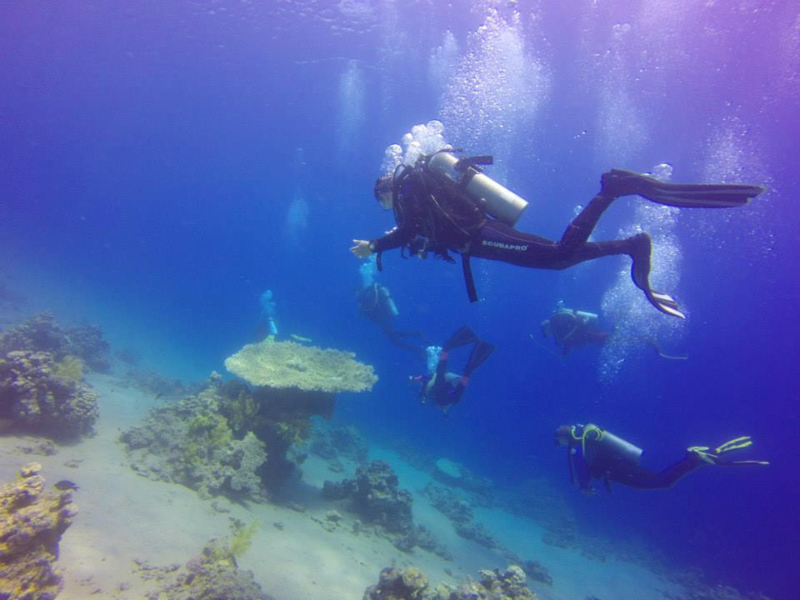 Throughout this training, participants experienced more of the Northern Red Sea’s excellent coral reefs in sites such as Marsa Bareika, Ras Ghoslani and Ras Katy. A particularly enjoyable dive was at Jackfish Alley, where huge swarms of Jackfish could be seen at every turn. After successful completion of the Sports Diver theory assessment, everyone was signed off as a proficient BSAC Sports Diver and depth progressions down to 35m were conducted. Students also got the opportunity to dive from a Rigid Inflatable Boat (RIB) and be picked up by the RIB after a dive, an important skill to learn. 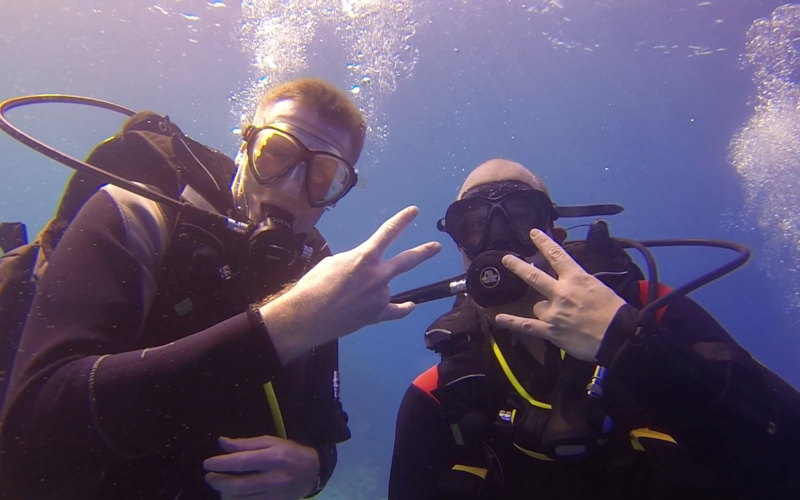 For the final two days of diving, we had the pleasure of completing a total of four dives on the famous S.S. Thistlegorm wreck, considered by many to be one of the best wreck dives in the world. For most, this was their first penetration of a wreck and what a place to begin! S.S. Thistlegorm has a plethora of intriguing sights including 4×4 trucks, motorbikes and rifles, as well as being a sight of historical significance, with 9 sailors losing their lives when it was sunk during WWII. Our concluding dive was at Shark/Yolande in Ras Mohamed Marine Park, which is regarded as the 2nd best marine park behind the Great Barrier Reef. Overall, Ex Cabot Coral was a highly successful expedition. All 14 novice divers were qualified up to Sports Diver standard and the two Dive Leader trainees made significant good progress towards their next qualification. 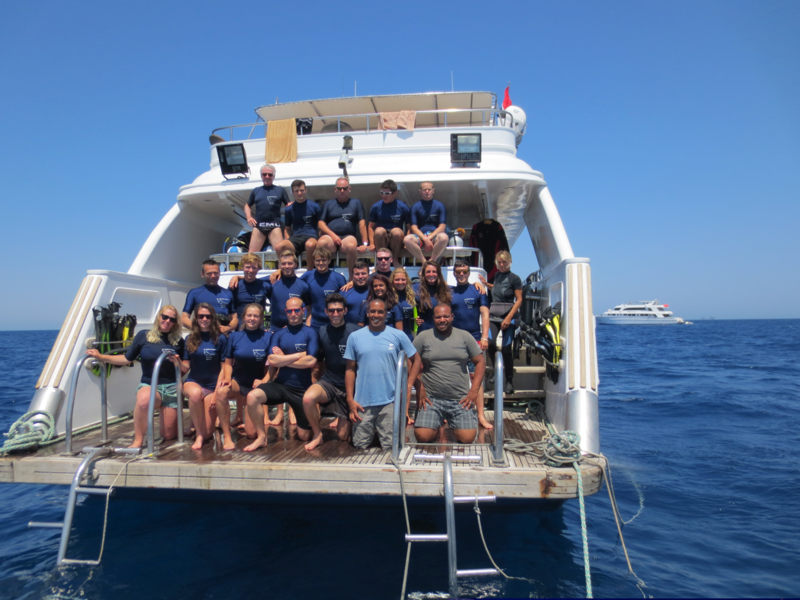 All participants had a very enjoyable and fulfilling diving experience and this was in no small part due to the generous grant offered from the Ulysses Trust.